Area: 1136 sq km. Location: In the area between Revelstoke Lake and the Columbia River on the east and the upper Adams River on the west, north of the Ratchford Range and NE of Seymour Pass. 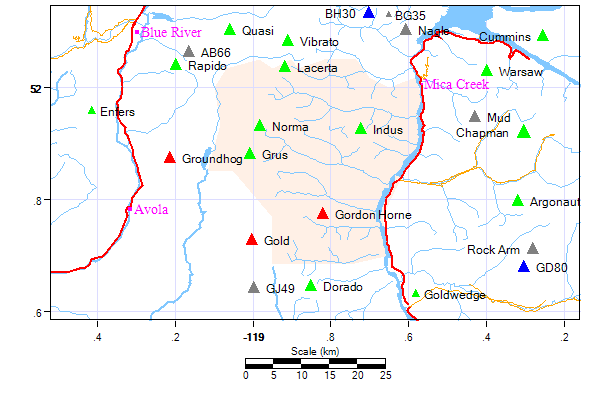 The uppermost Adams River and Soards Creek form the northern boundary, Hoskins Creek the southern. The southwestern boundary is Oliver Creek, a tributary of the Adams.